Staff ready to help. Once again I thank them. Big free parking. I was pleased to see a restaurant at the hotel because we arrived late and was hungry. The room which was a family room (4 beds) was very large, spacious, bright and also very quiet. Furthermore it was very good value for money. been decorated since our last visit and done nicely. Room was clean and comfortable. Wifi was excellent and the on site restaurant provided the opportunity to refuel. We spent a night on our way from France to Germany. The price for a family of 4 was good. The bedroom was big and appeared clean. The beds were comfortable. Sporting paradise for squash, tennis and badminton players. Very kind and helpful staff who made a great effort to understand my awful French ;) Very friendly squash players at the courts to have a hit with. Lovely restaurant with nice terrace to enjoy the sun. We stop in Espace Squash 3000 regularly when we go to Italy. 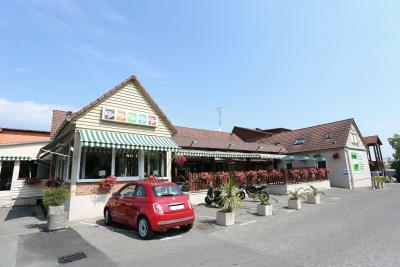 It is a comfortable stay, near the motorway. The restaurant is ok, it is always full. 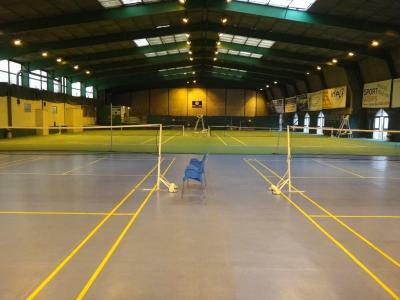 One of our top picks in Mulhouse.Espace Squash 3000 features 2 tennis courts, 7 badminton courts and 5 squash courts. 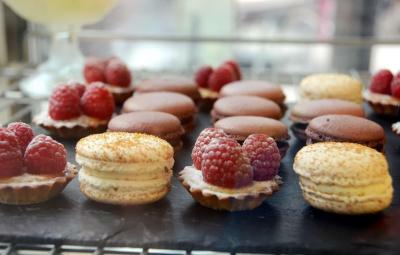 It is located just 2.5 mi from Mulhouse Train Station. The guest rooms are brightly decorated and some feature a balcony. Each room is equipped with a TV and a telephone. All rooms have a private bathroom. 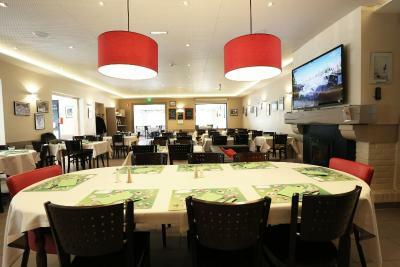 Espace Squash 3000 features an à la carte restaurant including traditional French dishes. With a 24-hour reception, this hotel also features a tour desk and a meeting room. Free Wi-Fi access is available throughout the hotel. Espace Squash 3000 is located 4.3 mi from Bouleaux Golf Club and just 5 minutes from the Olympic Swimming Pool and an ice rink. Free private parking is available on site. When would you like to stay at Espace Squash 3000? The room has a flat-screen TV with cable channels and the private bathroom is complete with shower and toilet. House Rules Espace Squash 3000 takes special requests – add in the next step! Espace Squash 3000 accepts these cards and reserves the right to temporarily hold an amount prior to arrival. No Airco in the room. it was so hot. Breakfast really poor. we asked for a non smoking room but there was still a smell of smoke in the bathroom. Not over powering but enough to be an initial distraction. The bathroom was not cleaned properly and was very shabby. With very little attention, it could be improved significantly. Holes everywhere, looks very dated and we found hair and a toe nail on the floor. The bathroom needs some attention!! The price relative to the facilities available in the room. The distance from the town. Nothing really though a kettle in the room would be nice for early risers like me who could make a cup of tea !! Excellent hotel and super staff. Lovely rooms.